Did you know there is a big difference between data and metrics? While these terms are sometimes used interchangeably, they are actually separate–yet equally important–concepts. If data is the answer; metrics is the test. Metrics are specific ways that we measure raw data and define performance. For educators and course administrators, metrics will help you understand how students perceive and perform in your course. Studying metrics will help you better manage your program. You can use this information for future upgrades. No matter what your industry or format is, clearly defined metrics will enable you to get the most from your course. Here are three ways educators can analyze metrics and apply their findings. Your course is designed to present relevant information and new concepts. You want to inform and challenge your learners. With software like XenDirect, you will be able to see if your students have met their goals effectively and thus if those goals are feasible. You can you view their grades, attendance, communications, and progress. Additionally, you can also measure class averages to discover any recurring trends. You will be able to see if your course facilitator is effectively teaching the class and presenting the material in an understandable, cohesive manner. This is very helpful if you are trying to identify room for improvement and assess your staff. For many of you, your course has been created to adhere to regulations. Compliance courses are taught in both academic (undergraduate and graduate levels) and corporate settings. These courses cover regulations by state, federal, organizational, professional, or departmental authorities. Your metrics can help you ensure that your course is covering the exact information you need. Before you begin each session, compare your current material with that current year’s guidelines to make sure that your information is up to date. It is important to ensure that you analyze every aspect of your course to make sure your material is current, otherwise you (or your client) risk facing severe fines. 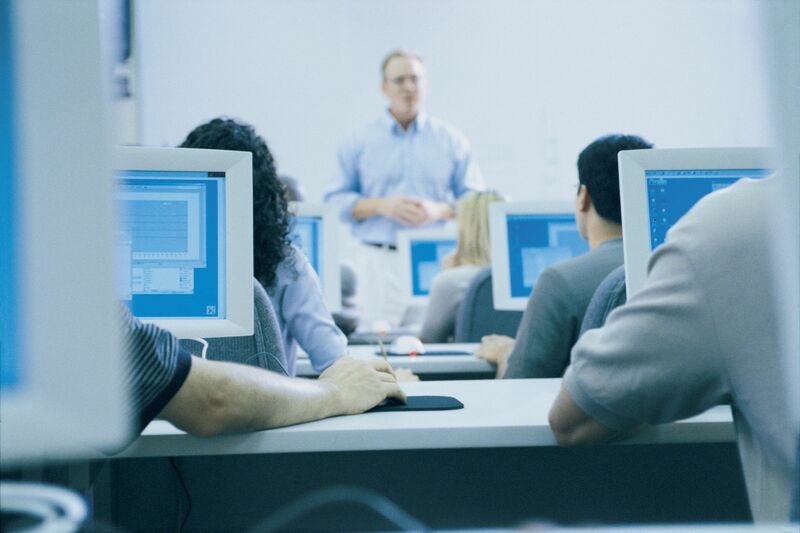 Compliance training gives you an additional opportunity for metrics: you can measure the effectiveness of your course’s material by assessing your student’s retention during subsequent training sessions. If you are managing a class with a larger number of students, then measuring the competency rate can be a lifesaver. This measurement allows you to view the percentage of learners who are doing well in addition to the percentage of students who have struggled with the material. While studying the company rate can help you identify the students that are doing better than others, you can also use this metric to gain a better understanding of your course’s efficacy and if it is covering the material in a way that is suitable for the students it is intended for. By defining and analyzing metrics, you are giving your administration a competitive edge. You will have the ability to better understand your student’s reception of the course, their knowledge retention, and the efficacy of your course. As we have mentioned before, you should always compare the present day’s information with previous courses and understand if you are doing better than before.